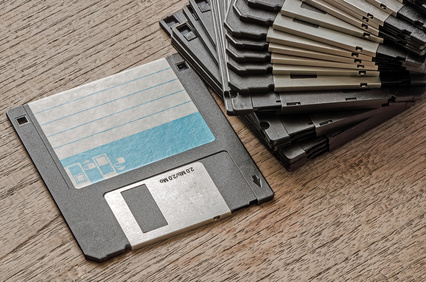 There was a time when floppy disks were the rage. You could throw a few floppies in your bag and get access to 5 megabytes of storage, and that was great, even high-tech at the time. But if you hold a floppy in public today, don’t be surprised if passersby scan the area for the cave you emerged from. Yes everything changes eventually, and those who succeed are those who can keep up with change. Yet in many areas of recruitment, we find people who are holding on to ancient practices that should have seen their last days years ago. Many highly talented people lament about the lack-luster interview experiences they’ve had, and from the evidence available, it’s clear that many recruiters are harming their ability to recruit top talent by sticking to interview processes from the 18th century. And so in our post for this month, I would be shining the light on 6 interview practices that should be scrapped right away, by every recruiter on the planet. 1. Using a precise, rigid set of questions, every time. Interview a surgeon, same questions. Interview a programmer, same questions. Everybody has to fit into a specific mold of what is considered an ideal employee. There are probably a thousand problems with this approach, but let me bring out two. First, you end up hiring people with a set of criteria that ensures they are all alike. This can harm a company because diversity in personality and talent is great for creativity. The second and most obvious problem is that such cookie cutter criteria are not adequate to determine if individuals are suitable for the particular roles for which they are being considered. 2. Interviewing people you do not plan on hiring. I read a post recently from a candidate who apparently had a great interview with a company for a clearly advertised position, but who (after discussing a start date with the company) got a call from HR and was informed the position never existed. Frankly, you can’t read that without feeling sorry for this candidate. A recruiter who is in the habit of performing interviews just to fulfill company policy, or for any similar reason, is quite frankly an unkind person. I can’t put it more pleasantly. There are however times when a company might perform a few interviews just to see what’s out there, and there’s nothing wrong with this as long as the candidates are duly informed about the purpose of the interview. 3. Letting HR do the entire interview. Many companies no longer make this mistake. Nowadays you often have to sit with the manager of the department you are applying to, as well as a few team members before you are considered for the job. And this makes sense. Of course HR should coordinate the interview, and possibly perform the first interview. But when a candidate shows promise, it is time for them to be interviewed by those who know best, what is required for the role. And who better than the department manager, and other potential work mates. 4. Using a long, drawn out interview process. For example, the CEO of one technology firm required that each new candidate goes through “17” interview sessions. Now if I had seen this in a comedy column, it’ll be funny, and I’d laugh, and I’d move on. But to know that a company actually wants (or wanted) candidates to go through 17 interviews just makes me wonder, because this is inherently a waste of time and resources for the company, and torture for the candidates. In the past, Google also had the practice of subjecting candidates to double digit interviews. 5. Not following up with a candidate after an interview. I wrote an article about poor recruitment practices last year (Read it here) and this item also made that list. Maybe I’d start randomly including it in every article I write, just to get people to take note. The truth is, it is quite awful for a person to spend many hours preparing for an interview, go through the tough interview process, and then sit down and watch their phone and email until they decide to give up. When people who had this experience were polled, many decided that they would not become customers of the company involved if they needed the goods or services it offers. So aside from being unfair to the candidate, this practice can also make you lose customers. When candidates do not make the cut, find time to tell them they didn’t. If you are short for time, send out an email blast to them. A simple BCC to all candidates in this category may even do the job. And this should only take 10 minutes of your time. The best candidates may not have attended an Ivy League University, so if you tend to give preference to these candidates, you are narrowing your talent pool, and harming your process. Also, while we want to believe racial bias is completely behind us, the truth is, it isn’t. 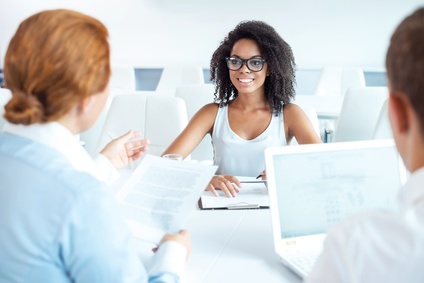 A recent research concluded that African-Americans are 16% less likely to be called for interviews. There are many possible kinds of bias in recruitment, some may even be unique to a particular recruiter. However, a good recruiter should be able to get over any bias to ensure employees are selected based on how suitable they are for the role, and nothing else. This list of outdated interview practices is by no means exhaustive. It only brings out some of the major practices that make job applicants reconsider starting a business instead of working with your company. You can start from this list and weed out these practices from your process if any of them are still being used, and then go on to examine your whole recruitment process to see what else should go, and what should remain. The fact is, the modern business world evolves at the speed of light. And recruiters stand in the forefront of each company’s effort to keep up (and even lead) by bringing in the right talent. But if your recruitment process is outdated, you may end up being a drain on your company’s success. Nobody wants to be that.